American sports broadcaster, Jim Lampley was born on April 8, 1949 in Hendersonville, North Carolina. 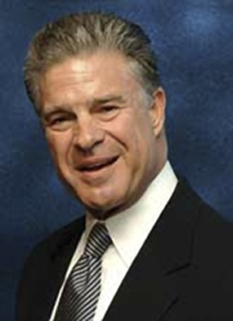 Jim Lampley is a prominent sports broadcaster, news anchor, movie producer, and restaurant owner. 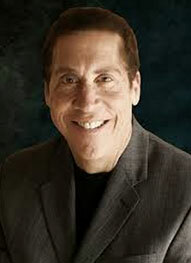 He has been in several television shows, but is better known for his participation in the HBO Boxing series. He currently works alongside Larry Merchant and Emanuel Steward in that series. Jim Lampley has anchored a record 14 Olympic Games U.S. television broadcasts, most recently the 2008 Summer Olympics in Beijing. In 1985, Jim Lampley along with Al Michaels served as anchors for ABC's coverage of Super Bowl XIX, the first ever Super Bowl that ABC televised. Lampley would subsequently preside over the postgame trophy presentation ceremony. In 1987, Jim Lampley not only began a two year reign as anchor of ABC sports' coverage of the Indianapolis 500, but moved to CBS, where he took over duties as news co-anchor on the daily news show in Los Angeles, and also was a correspondent. 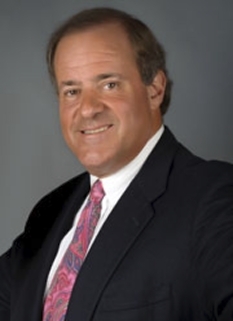 That same year, he began working for HBO, covering boxing and HBO's annual telecast of Wimbledon. 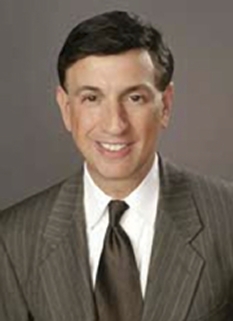 He also attended the Albertville Olympics in 1992, as a news anchor for KCBS-TV. In 1992, Jim Lampley moved to NBC, where he helped cover the 1992 Barcelona Olympics and the 1996 Atlanta Olympics. In 1993, Lampley took over studio hosting duties for Bob Costas on The NFL on NBC. Lampley would move to play-by-play duties for NBC's NFL telecasts the following year and was subsequently replaced by Greg Gumbel. 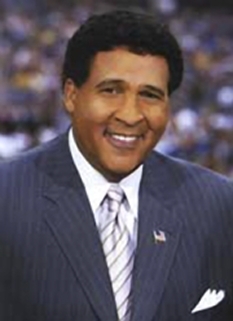 Before the Atlanta games, in 1995, he began working at the Real Sports with Bryant Gumbel HBO series. 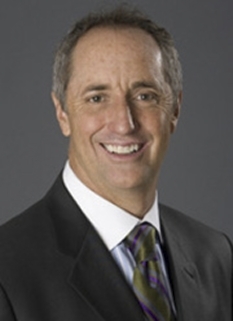 For his participation in that show, he has earned three Emmy awards. In 1998, he covered the Nagano Olympics and the Goodwill Games for Turner, and in 2000, he covered the Sydney Olympics, again for NBC. In 2004, Jim Lampley was the daytime anchor for NBC's Olympics coverage for the 2004 Summer Olympics, as well as anchoring the USA Network's coverage of the Games. In 2006, Lampley served as a central correspondent for the 2006 Winter Olympics which aired on the networks of NBC Universal. Torino 2006 was the 13th Olympics Lampley covered, surpassing the record set by America's original voice of the Olympics, Jim McKay. Lampley was again called upon to anchor for the 2008 Summer Olympics in Beijing, China, Lampley's 14th Games. Jim Lampley's movie production company, Crystal Spring Productions, has produced a handful of movies, including 2000's Welcome to Hollywood. The company has plans of producing a movie about tennis player Pancho Gonzalez, with Benjamin Bratt in the leading role. In addition to several minor credits as an announcer in films, in 2006, Jim Lampley portrayed himself in the movie Rocky Balboa covering the new events in Rocky's career as well as the final match against Mason Dixon. He also appeared in the 2007 sports comedy films Blades of Glory starring Will Ferrell and Jon Heder, and Balls of Fury, with Christopher Walken. Jim Lampley's restaurants, Lakota Restaurant & Bar, are located in Park City and Salt Lake City, Utah. The Park City Lakota opened in December 1996 and has been the town's dining and drinking epicenter ever since. New York Magazine called it "social ground zero after dark." Lakota Salt Lake opened in May 1998, one block from the Delta Center in the heart of the city's booming commercial district. Jim and Bree Lampley live in Rancho Santa Fe, California, with eleven-year-old Andrea Walker and eight-year-old Aaron Lampley. Jim has two daughters by previous marriage, twenty-year-old Harvard sophomore Brooke Lampley and thirteen-year-old Victoria, who lives in London. DISCLAIMER: PFP Sports Talent Agency does not claim to represent itself as the exclusive agent for Jim Lampley. PFP Sports Talent Agency is a booking agency that represents organizations seeking to hire pro athletes and sports personalities such as Jim Lampley for speaking engagements, personal appearances, product endorsements and corporate entertainment. Fees on this website are estimates and are intended only as a guideline. Exact fees are determined by a number of factors, including the location of event, the talent’s schedule, requested duties and supply and demand. PFP Sports Talent Agency makes no guarantees to the accuracy of information found on this website and does not warrant that any information or representations contained on this website will be accurate or free from errors. We are often asked how can I find out who is Jim Lampley's agent? To find Jim Lampley appearance fees and booking agent details, you can contact the agent, representative or manager through PFP Sports Talent Agency for speaking fee costs and availability. PFP Sports Talent Agency can help your company choose the ideal sports personality for your next marketing campaign. To hire Jim Lampley for an appearance, speaking event or endorsement, contact Jim Lampley's booking agent for more information.